For almost two decades the focus of Margaret’s work has centred around infectious diseases, preventing their transmission and identifying the impact of these infections in vulnerable populations. A researcher and clinician her principal research interests are in the epidemiology of blood-borne viruses (HIV, hepatitis B and hepatitis C), sexually transmitted infections and improving the management of individuals who already have the infection. Margaret has considerable experience in undertaking community-based research involving young people, injecting drug users (IDUs) and vulnerable populations, and experience in research in tertiary care institutes. Experience in translating research outcomes into health policy and practice include the change in HCV prevention education after Margaret and her research group identified high rates of hepatitis C reinfection in injecting drug users. Her work and that of others on the feasibility of treating current injecting drug users for their HCV, led to changes in the clinical management of injecting drug users infected with HCV in Australia. Margaret has also has been instrumental in the development of innovative sentinel surveillance systems for BBVs and STIs both within Victoria and nationally. She and her group are world leaders in research using new technologies such as SMS and social networking sites for health promotion. 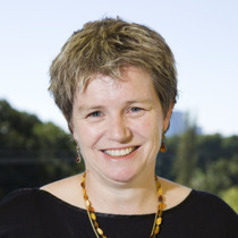 She has been a member of numerous advisory committees and working groups including the WHO Working Group on hepatitis C prevention, the National Strategies HIV STI BBV Subcommittee, the National Strategies Hepatitis Expert Writing Group and the Victorian Government Taskforces of the Sexual Health & Viral Hepatitis. With more than $20 million in competitive research grants and tenders, Margaret has in excess of 150 peer reviewed publications and has won a number of prizes for her work.